Fertility Q&A: What Does It Mean to Have Small and/or Weak Eggs? Home → 40+ → Fertility Q&A: What Does It Mean to Have Small and/or Weak Eggs? There are many times women reach out to us asking for clarification of what their doctor just told them about their fertility health. This is particularly true with egg health concerns, as doctors commonly refer to eggs as being small and/or weak. What does this really mean? After all aren’t all human female eggs small and weak until the body chooses one for ovulation? I want to share what I’ve learned about having “small” or “weak” eggs and maybe in reading this Q&A, you’ll also come up with questions to ask your doctor. While we are here to help educate and empower you to support your fertility health naturally, it is important to be sure you take the time to ask your doctor for clarification if you need it. Then, ask why he/she feels the issue is happening for you. It then will be easier to reach out for support from another practitioner and/or research the issue. Q1: What Does it mean when told your eggs are too small? A: My attempts to learn the definition of “weak eggs” in relation to female fertility has been a challenge. What I have deduced from several sources is that when doctors determine a woman’s eggs are weak, what they believe is that the eggs are of poor quality, or perhaps that the ovum (egg cell) is slow to grow during the process of becoming a mature ovum that could be ovulated one day. To help with understanding this better, it may help to know a bit more about egg development in the human female. A female fetus’ ovaries are home to roughly 7 million eggs while she is still in her mother’s womb. She will be born with around 1 million eggs. By the time she reaches menstruation, a female’s follicle count — the sac of cells surrounding each egg within the ovary that nurtures an egg that will be ovulated at maturity — is roughly 200,000. Of that 200,000 only less than 500 will be ovulated in a healthy, average woman’s lifetime. And as you know only a small, very small, number of those will be fertilized. The oocytes (immature egg cells) that are destined to be ovulated monthly during a woman’s fertile years – from menarche to menopause – start as very small cells, yet should grow and divide. This is a process called meiosis. Each month, one primary oocyte (immature, yet growing egg) should split/divide into one “normal” secondary oocyte, receiving most of the cytoplasm and ½ the chromosomes of the original oocyte. This is called the “secondary oocyte” and will end up getting ovulated. The other half of the primary oocyte that splits does not receive as much cytoplasm, or as much DNA as the other and will be absorbed by the body. If secondary oocyte health and energy are poor, this theoretically could result in a “weak” or small egg. If you’ve been told your eggs are “small” or “weak”, it’s time to do all that you can to boost nutrient levels, protect your cells and their DNA, and support healthy circulation to the ovaries. We cover the many ways to do this in our guide How to Increase Your Egg Health in 90 Days. 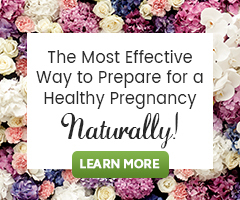 Consider also learning about the OvaWise Egg Health Kit and Self Fertility Massage. Then, talk to your doctor about the root cause of this issue for you. There may be other areas to research and address as well, but at least you’ll have begun making proactive, egg-health boosting changes that you can feel good about.